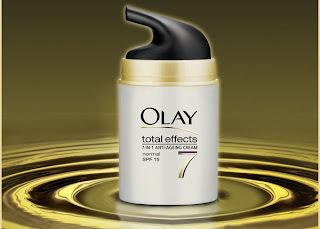 Olay Total Effects Guarantees Victory Against 7 Signs of Skin Ageing…OR YOUR MONEY BACK! 1. 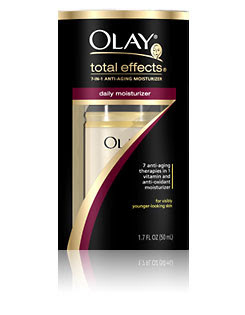 The Olay Total Effects Money Back Guarantee offers consumers a refund on Olay Total Effects creams purchased from February 1 to April 30, 2009, if they are dissatisfied with the results of the product. b. Must use the product as recommended on the pack, for at least 4 weeks, starting from the date of purchase, unless there is good reason to stop the use. c. After trial of 4 weeks, consumer is dissatisfied with the product. 894-3955 (GMA), or, 1-800-1-888-8008 (provinces). consumer for the product, as evidenced by the original receipt. the refund amount will be sent to the consumer via registered mail. c. The consumer will receive her/his refund within 6-8 weeks. 7. In case any of the criteria are unmet, a letter will be issued to the consumer explaining the reason for rejection, together with the product returned. household, as determined by the address of the claimant. 9. Olay reserves the right to reasonably decline the Money Back Guarantee offer to claimants who are not qualified. Olay’s decision would be final. 10. Employees of the sponsor, promoter, advertiser, and their relatives up to the second civil degree of consanguinity or affinity are disqualified from joining this promo. direct and personal knowledge of the promo are disqualified from joining. 11. Per DOH-BFAD Promo Permit # 0053 Series of 2009. Promo period is from February 1 to April 30, 2009 only. Olay will accept returned products and proof of purchase until June 30, 2009 only. For crying out loud! Any consumer who has to read all this would probably just let go of the guarantee altogether and say with me, “Forget it!” Reading all this alone, is tiring enough. What a pity! Only in the third world is there this kind of thing- A money back guarantee as a promotion! Money back guarantee should always come with any product to begin with. After all if one claims to be something, then it should deliver without question.